Not a bad campsite at Sandy Hollow. Went to sleep with the sound of frogs crocking! This morning I made use of the kitchen facilities to make breakfast before heading towards Muswellbrook. 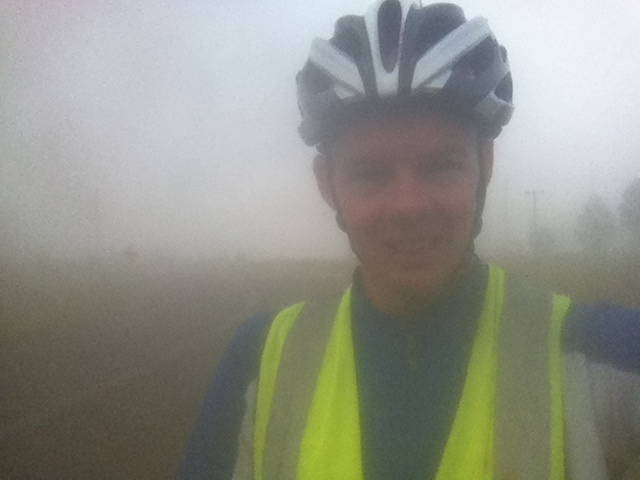 When I left this morning it was very foggy, bit after a few kms it cleared. 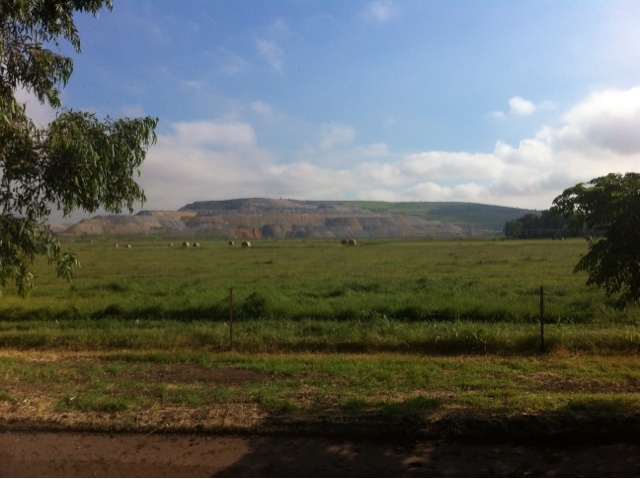 The scenery is a mixture of farms and mines, looks like there are going to be more and more mines over the next few years. When I got to Musswellbrook I got a couple of extra provisions for my trip into the Barrington Tops national park tomorrow. The horse studs have to share the same area as the mines. Interesting combination. After my bit of shopping I was taking the back road to Aberdeen and then cutting across to Gundy. The roads were starting to increase in elevation again. It was also getting quite warm. I was pleased when I got to Gundy, as there is a small store which was open. Perfect time to stop to cool down and get a bite to eat. After I was fed I continued to my destination, Moonan Flat, which was about another 30kms away. It was still warm and there was little shade. So every 10kms or so I would find a shady gum tree and stop, rehydrate and cool down. When I got to Moonan Flat the First thing I did was go to the bar and grab a nice cool refreshing schooner of beer. That tasted good! 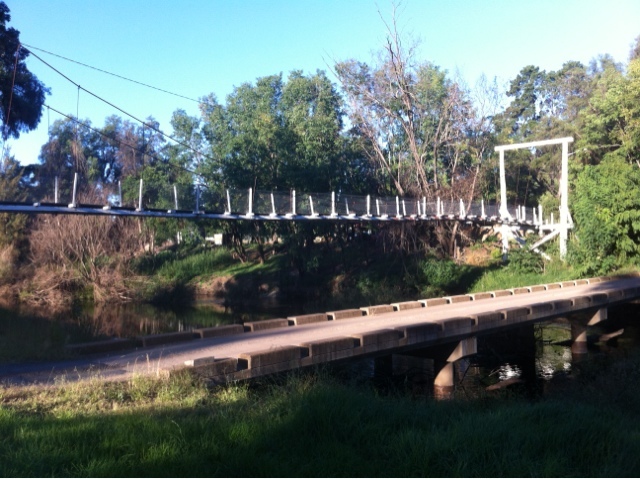 I then went down to the campsite, Belmadar campground, which is just over the bridge besides the river. 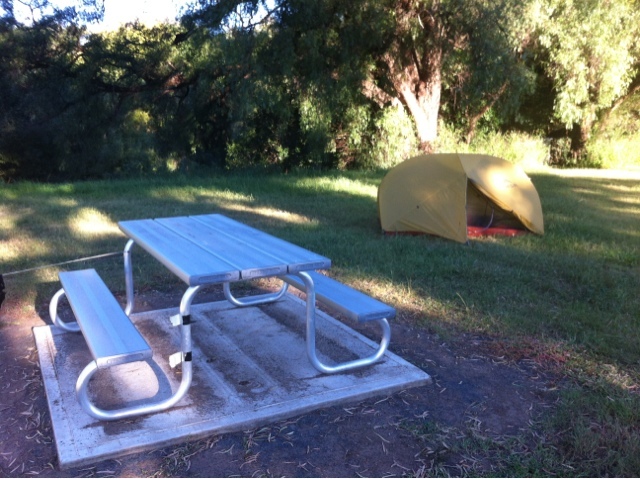 It has good showers, picnic tables and shady spots. Not sure if it costs anything to camp here. Guess they'll let me know if it does. For the remainder of the afternoon I relaxed in the shade next to the river. 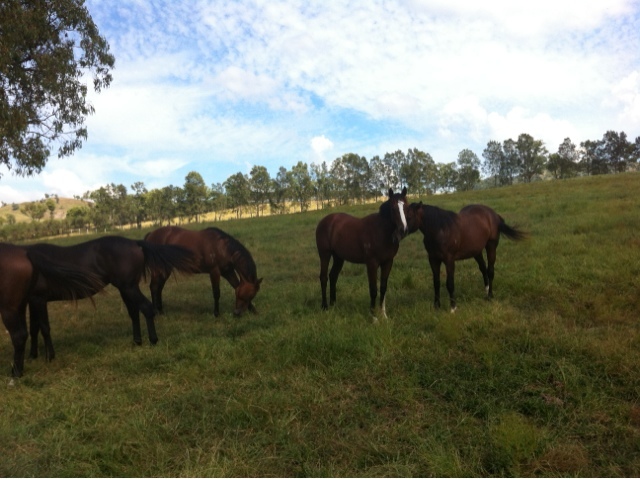 Tomorrow I have a big climb ahead into the Barrington Tops. Hopefully it should be a bit cooler, as will be climbing straight away for the first 20kms.